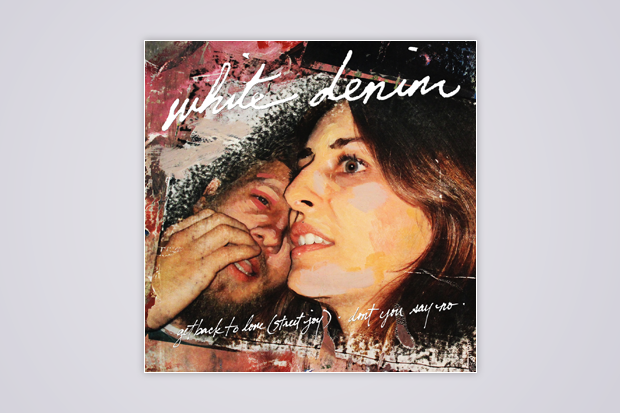 There are loads of influences evident in White Denim’s sidewinding psych-rock attacks, but frontman James Petralli tends to render the blend even more elastic by delivering his lines like a bona fide soul singer. A fluttery, crudely recorded, relatively faithful (i.e. silken) rendition of R. Kelly’s “Don’t You Say No” from 2000’s TP-2.com, shouldn’t come as too much of a surprise. This makes sense. Petralli singing, “Say you wanna take first-class trips, well I wanna work those first-class hips” makes sense. Everything’s fine. Hear what we mean below.